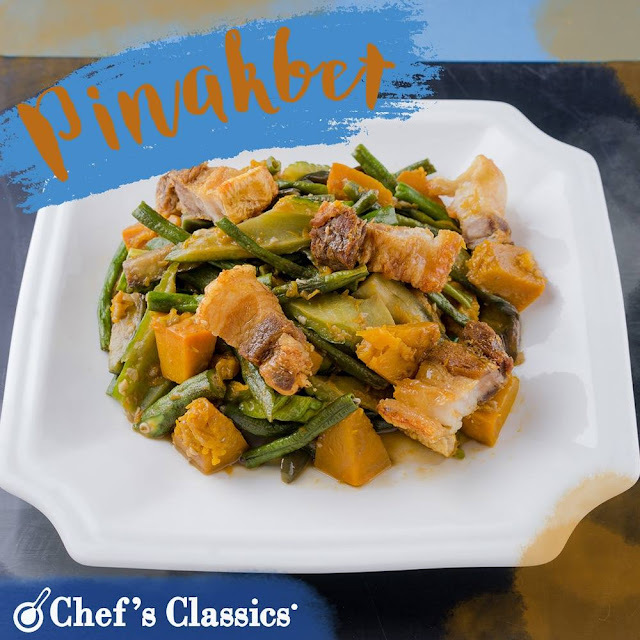 We heard that pinakbet is one of President Duterte's favorite dishes so we decided to share with you our yummy recipe! 1. Heat Chef's Classics Hibiscus wok and add in cooking oil. 2. When oil is hot, saute onion, garlic, tomatoes and onion. 3. Add in pork and cook until color changes to light brown. 4. Add in the shrimp paste or bagoong isda. 5. Add in squash and cook for 5 minutes or until fork tender. 6. Add in the rest of the vegetables, okra, string beans, eggplant and ampalaya. Simmer for four more minutes. Do not overcook the vegetables. 7. Put slices of leftover Bagnet on top of the Pinakbet. Serve with steamed rice.